Pay less for health care! Save money when you go to the doctor with the Healthy Actions Medical Plan! *Based on 2019-2020 in-network plan year costs. Subject to change. **Per calendar year. 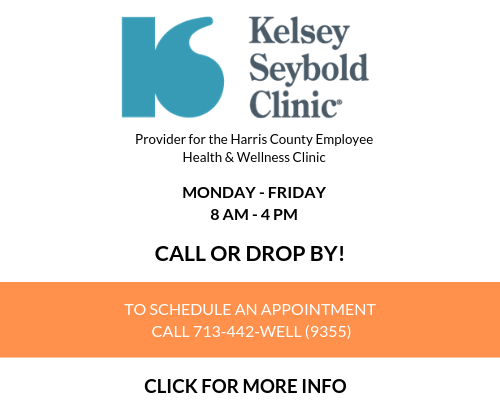 Destress at the end of your work week with a free chair massage provided by Kelsey-Seybold Clinic. Appointment required. Harris County Employee Wellness offers a variety of educational seminars designed to provide engaging and useful information to help you live your healthiest life. Which one will you sign up for?